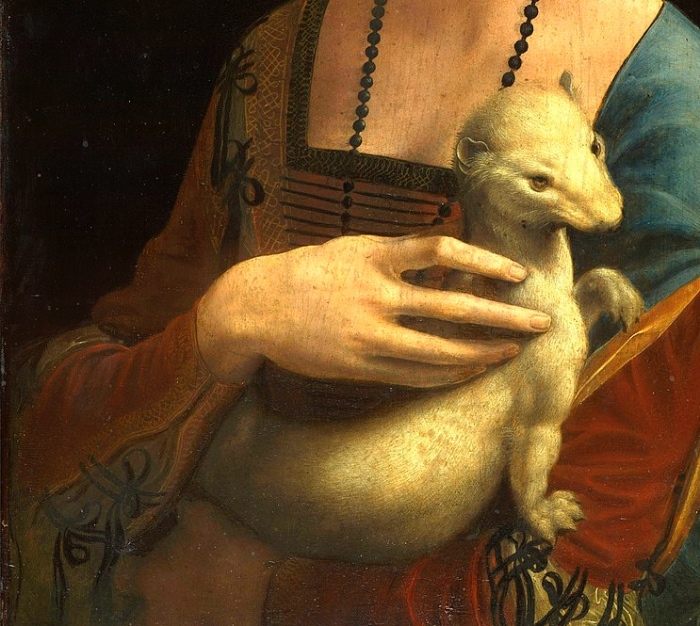 What makes the Lady with an Ermine a real masterpiece? Which story does this painting tell? I’ll try to answer these questions by telling the story of this painting. In this post I’ll accompany you to discover the painting known as the Lady with an Ermine, by describing the work in 5 points and leaving you, I hope, a great desire to know more about it and maybe to admire the canvas in person, in the museum exhibiting it. There are works destined to be recognized as real masterpieces. This is the case, for example, with the Lady with an Ermine, one of Leonardo da Vinci’s great masterpieces, dating back to 1488-1490, that no one could define not very important. 2. WHO IS THE LADY WITH AN ERMINE? The Lady with an Ermine is Cecilia Gallerani, a young noblewoman of Milan and lover of Ludovico il Moro. But, for political reasons, the Duke of Milan had to marry Beatrice d’Este, so he couldn’t fulfil his dream of love with Cecilia Gallerani, whom, however he always wanted to keep close to him. Ludovico gave a residence to the young woman, Palazzo Carmagnola, few steps from the Sforza Castle, where he lived. Here she created one of the first literary circles ever and became the star of the Milanese life. READ ALSO – The Piccolo Teatro in Milan or Carmagnola Palace, the house of Cecilia Gallerani. 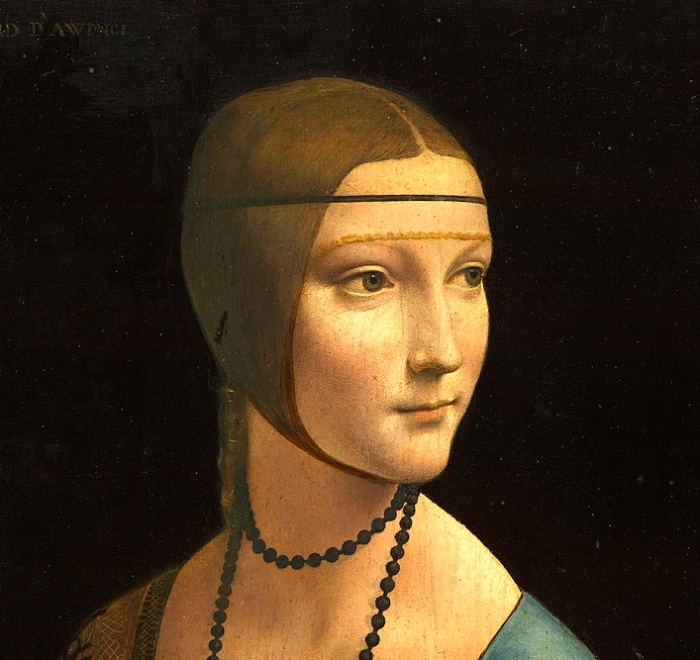 Leonardo da Vinci painted a typical 15-century portrait, a half-height figure, the body of a woman turned at a three-quarter angle, but the Renaissance genius made her bust turn slightly to the left, opposite the head, which, instead, turns right. Both the young woman and the ermine seem to look towards the same direction: maybe someone is entering the room. This is certainly one of the most important devices used by Leonardo, because they allow him to describe the feelings of the soul, that is to say human feelings. The masterpiece in which Leonardo da Vinci best expresses the representation of human feelings is the Last Supper housed in Milan, and for further information, you’d better read the post The Last Supper by Leonardo da Vinci: 5 things to know. Cecilia Gallerani was a beautiful young woman. Milanese, from a good family, with an illustrious lover such as Ludovico il Moro, but at that time when Leonardo da Vinci painted her, she was around 15 years old. Her long and tapering fingers which caress the ermine describe a woman with a kind heart and gentle soul. The animal, instead, might allude to the Order of the Ermine, a title King of Naples bestowed on Ludovico il Moro. 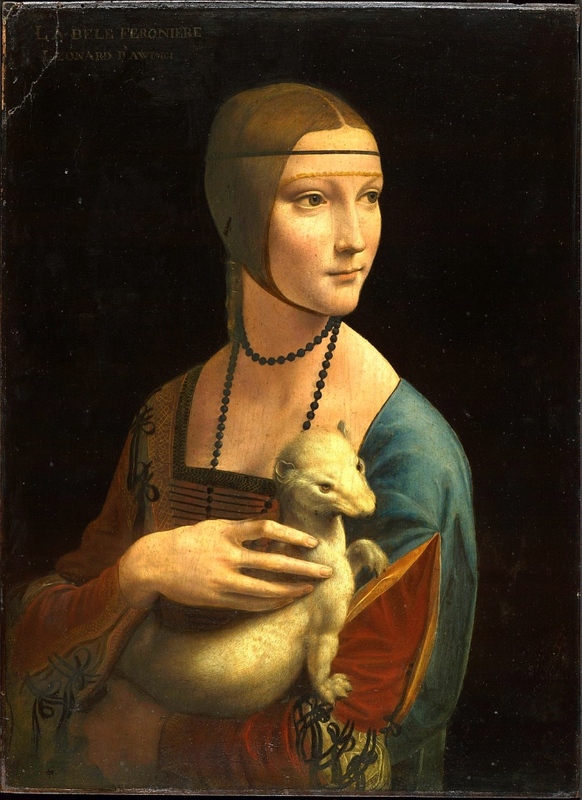 The Lady with an Ermine is now a masterpiece of the art collections of Poland. It’s now exhibited at the National Museum in Kraków .